After reading about the auction of the Heartbeat police Francis-Barnett in the last issue, please find attached pictures of a real Francis-Barnett patrol motorcycle. 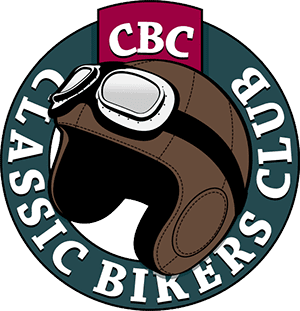 It’s a 1964 Cruiser 89 250cc twin that was first registered as a black and white Police Twin at Northallerton, North Yorkshire, on April 8, 1964, but it’s been around the houses a bit since then. 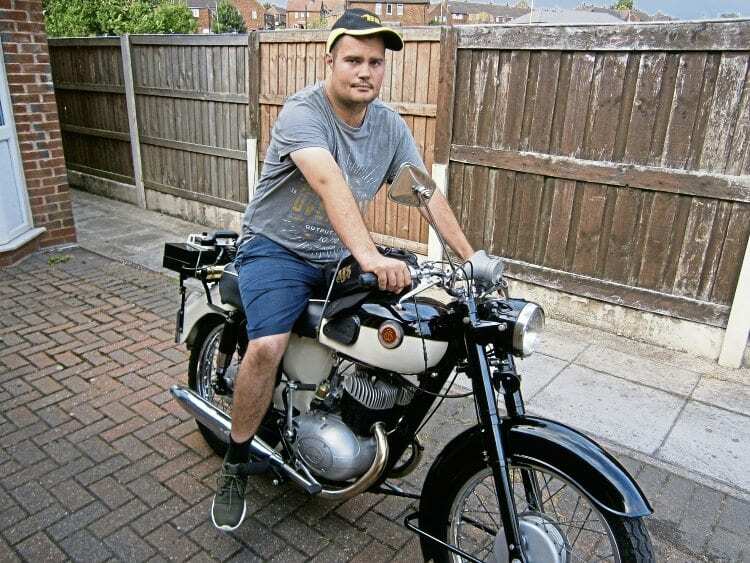 Iain’s son Stuart, a fan of both Heartbeat and Francis-Barnett, is seen on the ex-North Yorkshire Police Francis-Barnett Cruiser 89. Its second owner was a Yorkshire farmer, name unknown, who was using it as a stop-gap in a hedge, and its third, in March 1976, a Mr J Yarrow of Richmond, North Yorks. After this, it turned up in Poulton-le-Fylde with its fourth owner, name unknown, but was taxed at the local post office between May 2003 and July 2005. It then made its way to owner number five, Mr M Matthews in Somerset, in November 2006 before being moved on to a G C Neale in Bristol in May 2008. Watch out – there’s a bobby about! 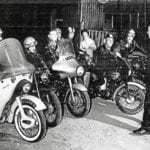 Three Norfolk Police Force motorcycle patrolmen pose with their spotless Police Twin Fanny-B Cruiser 89 two-stroke twins, complete with full fairings and ridged panniers. 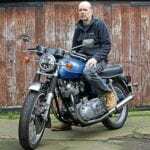 I became the seventh owner in February 2010 when I bought it from Mr Neale, who was selling off his collection of five Francis-Barnetts via good old OBM. The bike actually belongs to my eldest son Stuart, who’s a fan of both Heartbeat and Francis-Barnett motorcycles, so this find was just the ticket for him. 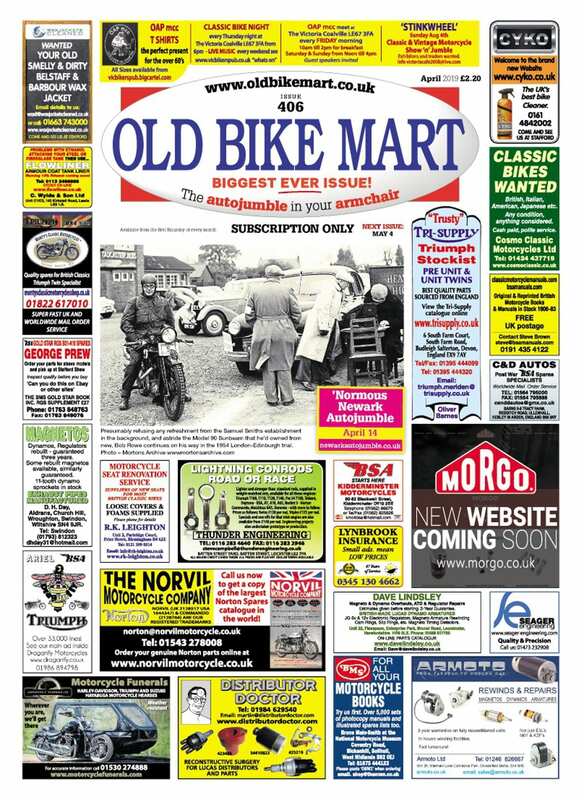 The bike was one of a batch of 12 bought by North Yorkshire Police in 1964 with their registration numbers ending from 831 to 842, and a total of three, including this one, are still on the DVLA system. 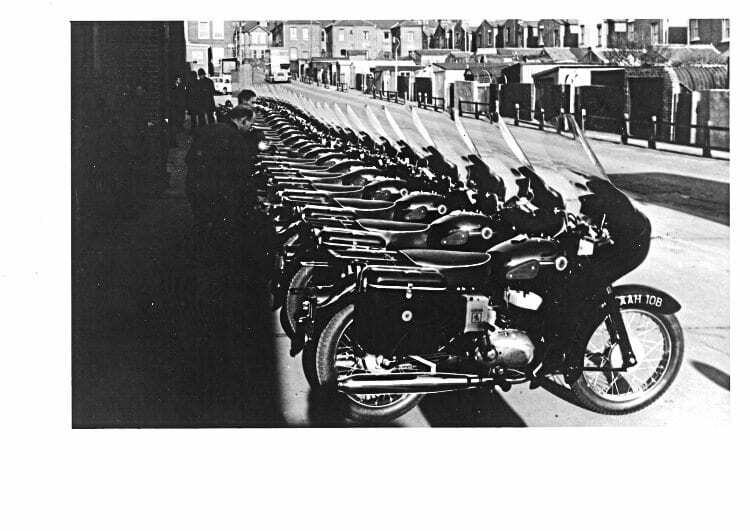 Norfolk Police bought this large batch of Francis-Barnetts around 1964. 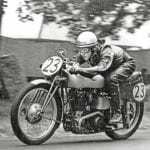 The bike came devoid of police fittings except for the fuel tank, which was modified to allow the fitting of the radio control set, the downside being the reduction in tank capacity from three to two-and-a-half gallons. 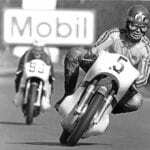 It would have been fitted with a Cossar Radio set. These are now non-existent, but I was able to source and fit a later Pye Westminster set and fake radio box along with the handlebar speaker – and people mistake the speaker for a police siren. 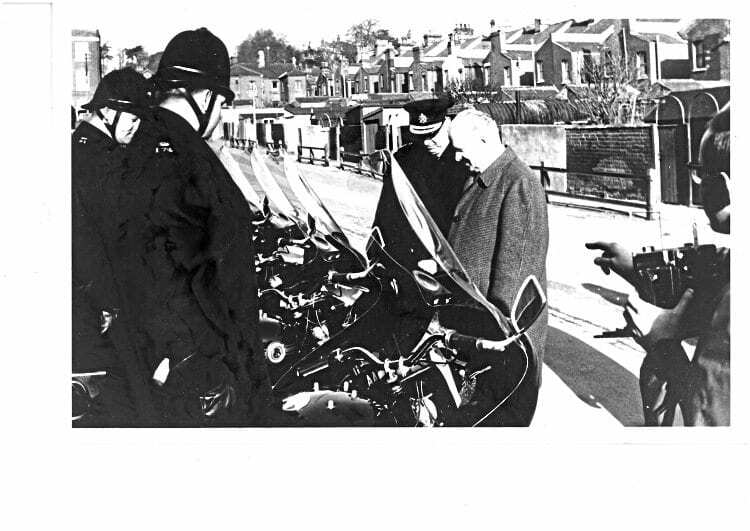 In the mid-1960s, a cameraman films the inspection of the new Norfolk police patrol Francis-Barnett Cruiser 89s. 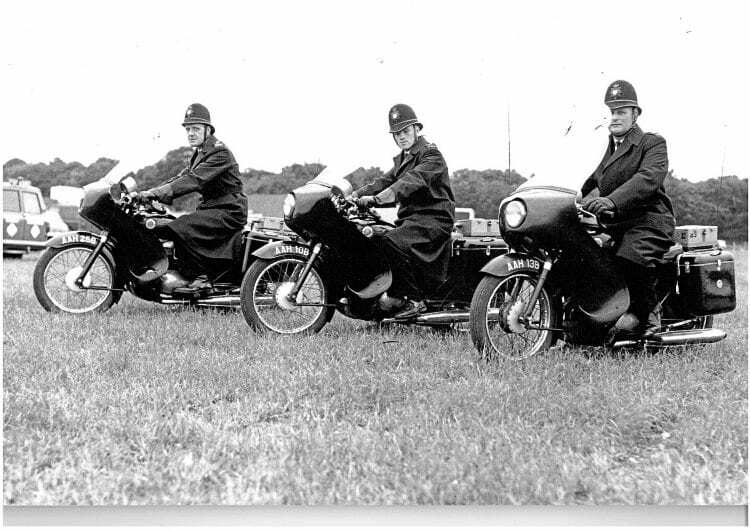 As far as I can find out, the only other police force to use the Francis-Barnett Cruiser 89 for local patrols was Norfolk Police, who bought a large batch of 20 or more around 1964, and they came with full fairings and ridged panniers. I’d like to thank Bill Hollis in Wales for supplying the hard-to-find police radio equipment etc, and it took me two months to rebuild the bike. 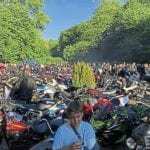 It is now used for shows and the odd bike run, and the highlight so far has been gaining a third place best club stand rosette (Francis-Barnett Club) at the April 2016 Stafford Show.